The community nursing service teams provide nursing care to patients in the community, and support for carers. Community nurses work closely with GPs, social services, hospitals and other healthcare staff to provide a service tailored to meet individual needs. The service helps patients cope with ill health and disability, thus allowing them to have the best possible quality of life, while maintaining dignity and respect. For more information on community care nursing in Northern Ireland, please see Strategic direction in community care nursing in Northern Ireland – Position paper.pdf published in November 2003. Community nurses cover a wide range of services that work together to provide nursing care in the community, both in your own home and in the local health centre. They include the following. District nurses are skilled professionals who provide coordinated care to patients in their own homes. While district nurses generally work independently, they are supported by the rest of their team and work alongside other healthcare professionals, such as social services, to provide holistic, high quality care to acutely and chronically ill patients of all ages. 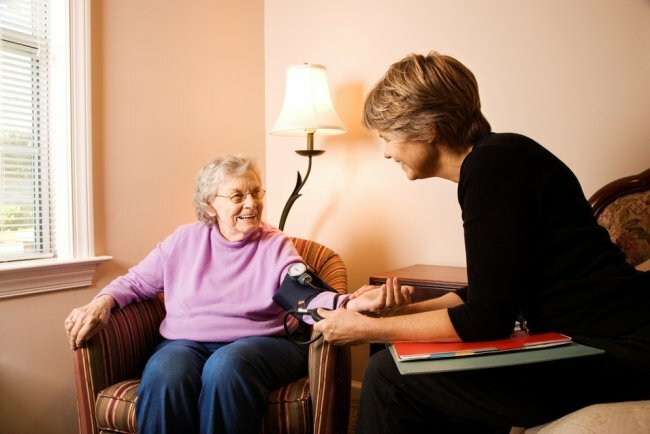 A nursing auxiliary service provided for patients living at home. Referrals to the service can be made through your GP, or by calling the referral call management centre. More information can be found at the links below.